We’ve made three updates to PERRLA that you’ll want to know about. We’ve redesigned the Paper’s Overview tab. We’ve updated the Paper Plan so it’s less for you to do and more helpful. 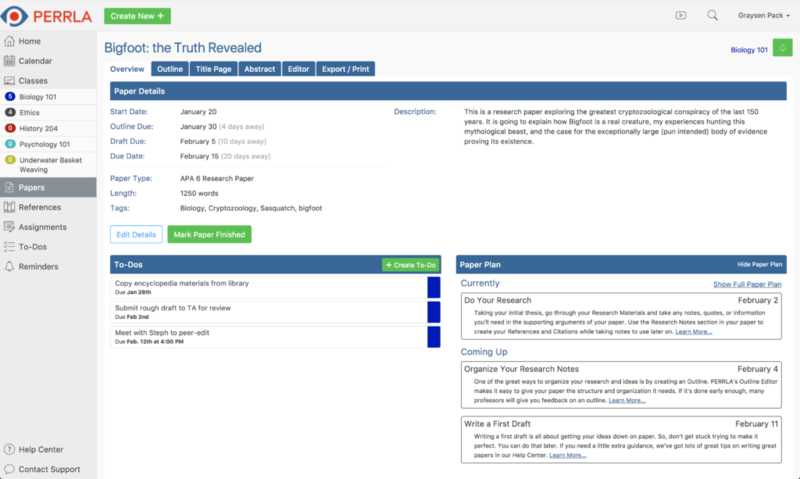 We’ve tweaked Paper Start Dates to streamline the process for creating papers. 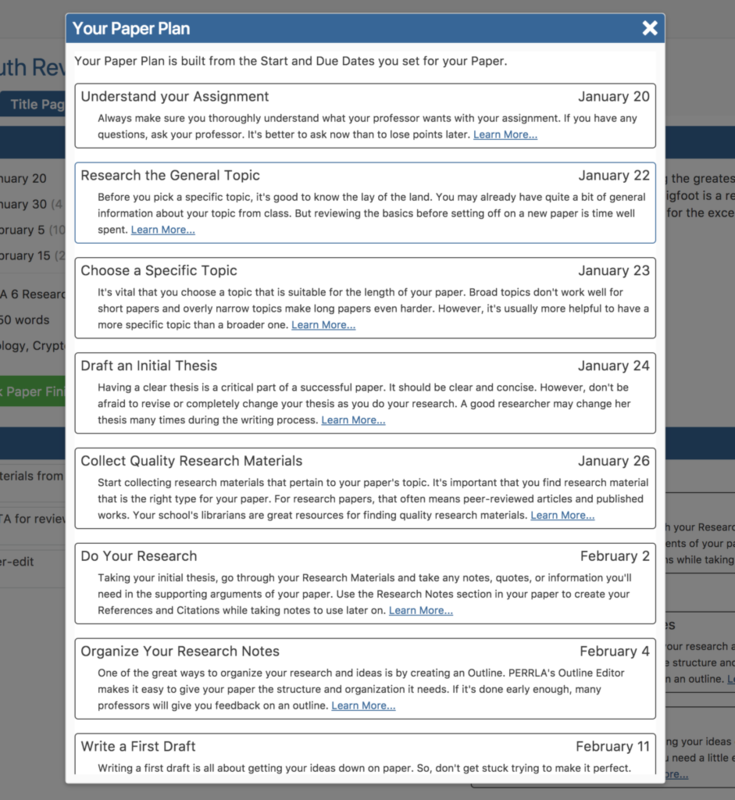 In your papers, the new Overview tab shows you everything you need to manage your paper as an assignment. In the top section, you can see and edit your paper’s details and mark you paper as finished. 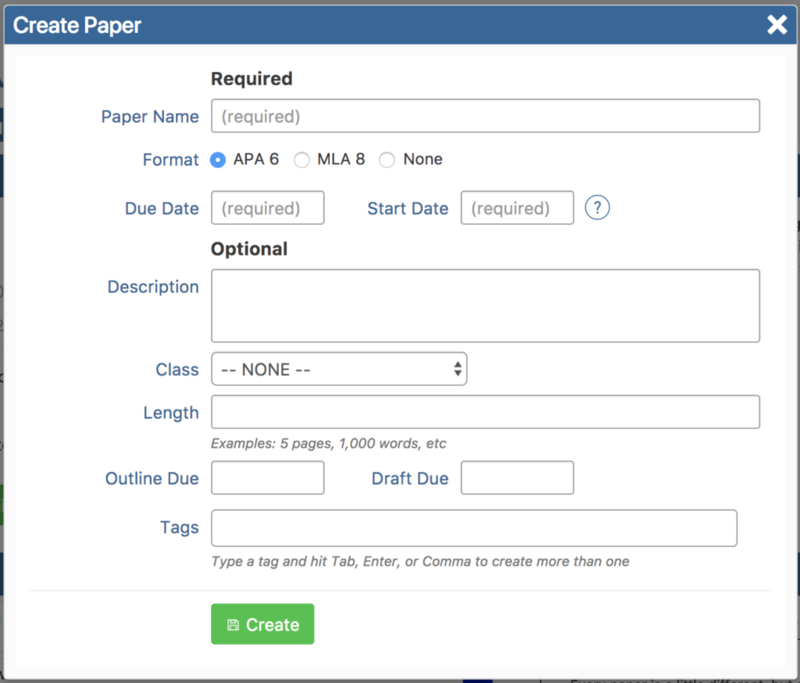 In the bottom left, you can create and manage all of the To-Do’s you’ve made for your paper. And, in the bottom right, you can see your Paper’s Plan or some Writing Tips. That takes us to the second change: the Paper Plan. We’ve streamlined the Paper Plan so that it’s no longer a series of to-do’s you have to complete (who needs more things in their to-do list?!). While the new Paper Plan is still built off of the start and due dates of your paper, it’s now just a series of suggested dates. You’ll see the suggested step for the current day and the next two steps you have coming up. If you don’t want to be bothered with a plan, feel free to ignore or hide it altogether. If it’s hidden, you’ll see a few random writing tips instead. Lastly, we’ve updated the Paper Create modal so that you can enter in the three most important pieces of information right away: the title of your paper, the type of paper it is, and the day its due (yea, we just switched the Start and Due date fields). We swapped them because now we’ve made the Start date a little smarter. When you insert a Due Date, we’ll automatically suggest a start date for you. If you don’t like it, you can still choose your own. In your PERRLA Online Account Settings, you’ll find an option to set how many days you want to Start Date to automatically suggest. And that’s it. We combined the old Overview, To-Do’s, and Plan tabs into the new Overview tab, simplified the Paper Plan, and smartened up the Paper Start Date field. We hope these changes make using PERRLA even better. Thanks for watching and good writing! Over the summer we’ve been working to make sure that we had wrapped up MLA 8 for all of our users AND brought Discussion Posts (one of the most popular Mac features) to Windows. Here’s a quick look at how each of them works in the new update. If you have written an MLA 7 paper before, then you will be prompted to upgrade to MLA 8 when you start the updated software for the first time. If you choose to not upgrade then, you can always go to the Settings Tab and change your version of MLA to MLA 8. You’ll find the MLA setting in the bottom left of the screen. You can change your preferred MLA format in the bottom left of the Settings tab. As a note, due to technical restrictions, we do not recommend re-using MLA 7 References in new MLA 8 Papers. Just like before, any of your APA or MLA 7 References will start with *** when viewing them in an MLA 8 Paper. When adding an existing Reference to your papers, non-compliant References have *** before them in your Reference list. Traditional Research Papers include a Title Page, a page or pages for the body of the paper, and a separate page for References. Discussion Posts only include the body of your paper and the References on a single page. 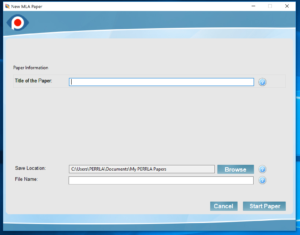 PERRLA still works just like it always has, but your paper will be formatted in a way that makes it easy to copy and paste your paper into your school’s online Discussion Forum. 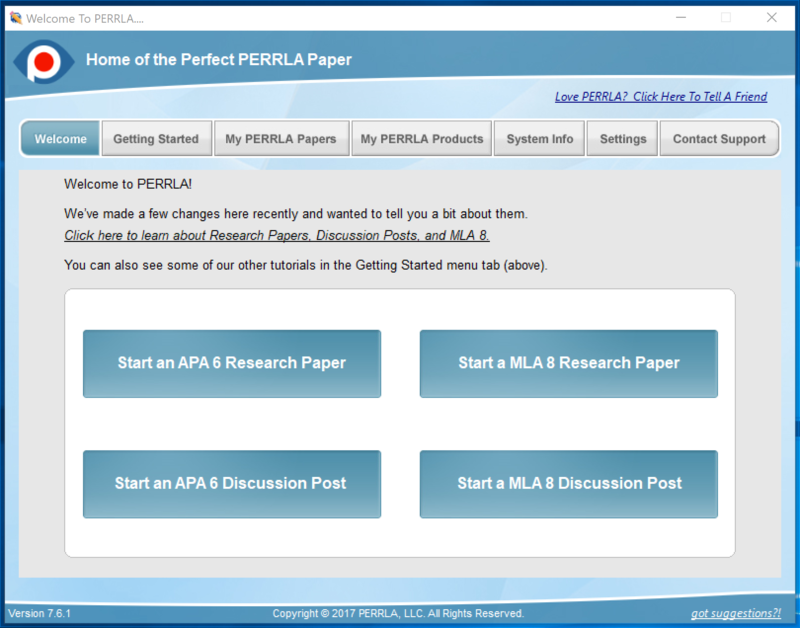 We’ve updated the buttons that appear on the PERRLA start screen so that you can easily create either a Research Paper or Discussion Post for APA or MLA. In the process, we removed the buttons for Start a New APA 5th Edition Paper and Open an Existing PERRLA Paper. APA 5 isn’t being used by schools anymore, so we phased it out. 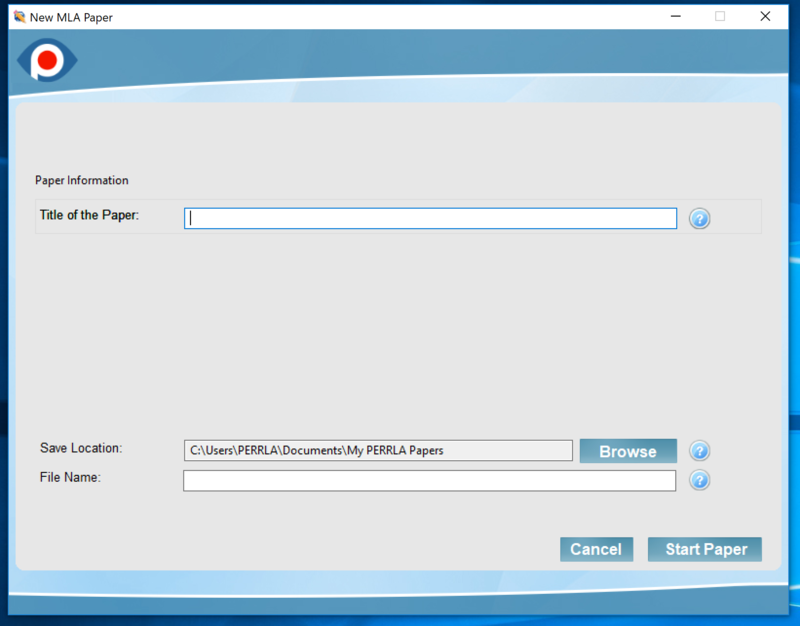 You can still access all of your Existing PERRLA Papers by going to the My PERRLA Papers tab at the top. When you start a new Discussion Post, because there isn’t a Title Page, you will only be asked for the Title of the Paper. This is so we can give your document the correct name when we save it to your computer. Now, creating perfectly formatted Discussion Posts for your class will be easier than ever! 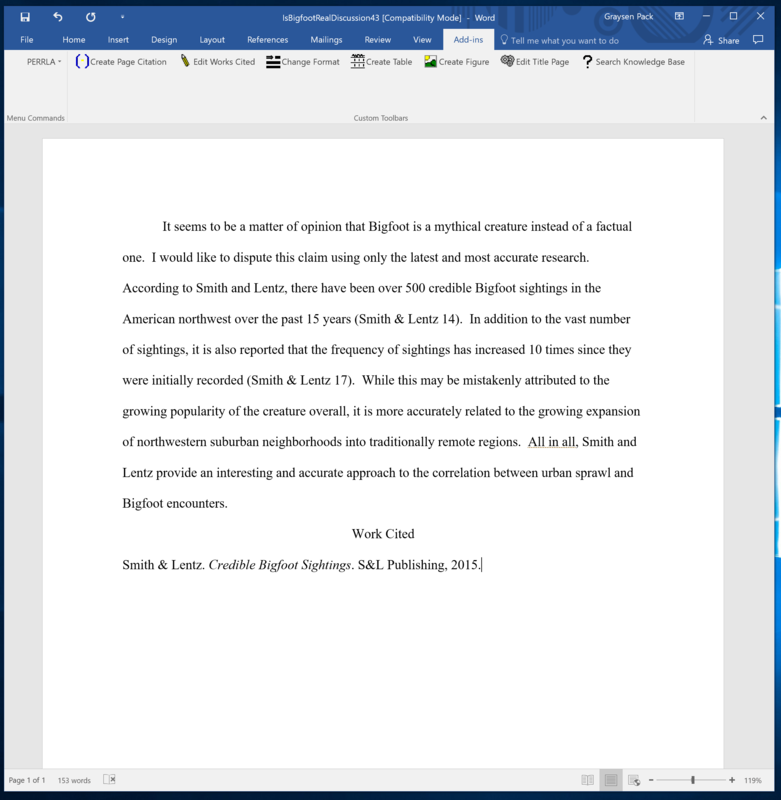 Example of an MLA 8 Discussion Post in PERRLA for Word (Windows).